The holidays may be over, but that doesn't mean it's not still a time for giving! 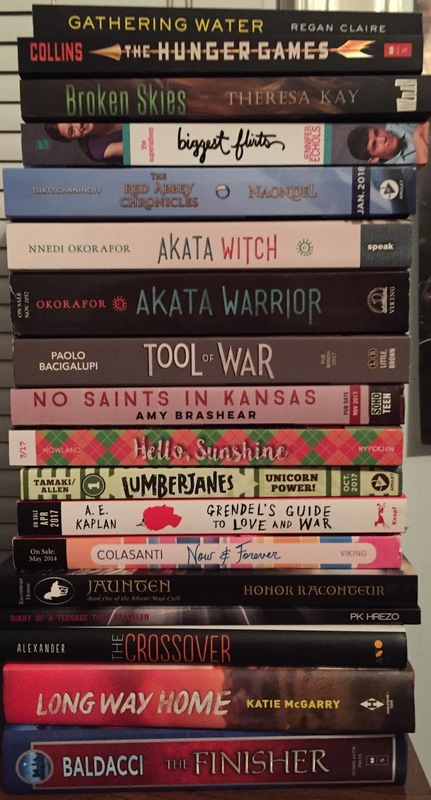 To celebrate the new year, I'm giving away the choice of ONE BOOK from the stack below to one lucky winner! My personal goals are too get myself better organized, eat healthier, and get more sunshine and exercise. My bookish goals are to try, every month, to do the following: either read or complete a series/duology/trilogy, read something I didn't get around to last year, and read a few new releases. I also want to work in 2 or 3 classics this year. Thanks for the giveaway! I want to get back into shape and drink more water. I'd also like to read more books this year. Last year, I didn't even make it to 40, which is so unlike me. Lastly, I'd like to find positive ways of dealing with my grief. Thanks for the giveaway! 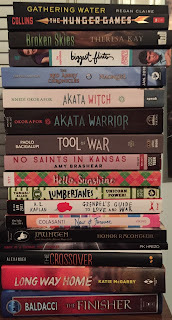 I have my list of reading challenges, with my biggest goal being to read my backlist from NetGalley. 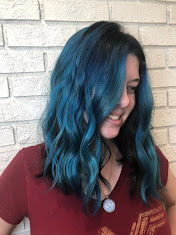 I also want to use my bullet weekly, and I am in the process of finding the right products to help me organize and transport it all easily since I travel every weekend. I'm hoping that makes things MUCH easier. I also need to focus on my health and building good habits that I can maintain. my 2018 resolution is to read 22 books this year. That one is pretty simple, yet it's pretty hard for me to do that, considering I'll have a lot to do for the next few months.